Given their busy tour schedule (e.g. Coachella, Outside Lands, Lollapalooza, etc. 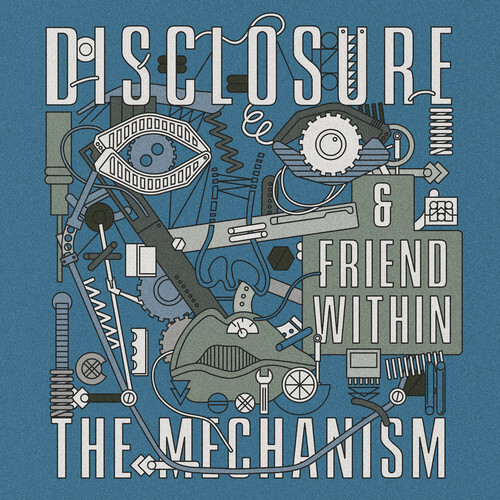 ), it’s not surprising that new material by the Lawrence brothers aka Disclosure has been somewhat limited. Fortunately, the boys were nice enough to share their latest work. A collaboration with UK producer and buddy Friend Within, “The Mechanism” is a groovy house tune with a nice dose of bass that’s sure to get the party started at a lot of music festivals (as well as the duo’s upcoming Wildlife shows) in the coming months. Check it out below.